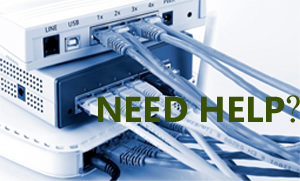 " If you are looking for quality Managed IT services. Look No further. They saved us over $20,000 in the first year alone by returning the hardware that was being pushed onto us by a big hardware company's sales rep. They truly care for their customers.". "Rapidsoft Systems is an outstanding consulting firm! We find our strong relationship with the consultant to be the most important element of their quality service - experienced and dependable over our four year tenure as a client." "I can't tell you how confident I am in this firms ability to secure our systems. Our PCS were being bombarded by viruses and malware despite all the software. Their CTO personally supervised cleaning of all our PCS from the hidden viruses. We highly recommend them." "Like many companies, we've endured many changes in the past few years. Rapidsoft Systems has assisted us at every turn - working to help control costs and to ensure our network and data were always available and protected. 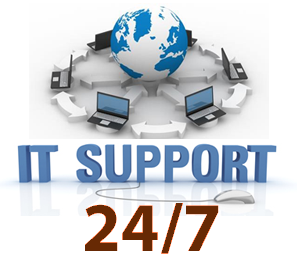 I find their service to be professional reliable and I highly recommend them as an excellent Tech Support vendor"
"The IT support service provided by Rapidsoft Systems is terrific. It relieves me of the responsibility of system maintenance, while providing peace of mind that our system is protected, compliant and efficient. Using a 3rd party vendor is much more cost effective than hiring full time personnel. I am pleased to recommend Rapidsoft Systems, as they provide a highly valued service to our firm." "Rapidsoft Systems was a lifesaver when our company moved to a larger site this fall. They performed a complete analysis of our technology needs, assisted us with ordering, and made our data migration totally painless. We were up and running again in just 6 hours! We couldn't have done it without Rapidsoft Systems. "Our relationship with Rapidsoft Systems over the past 4 years has been terrific. We love the service, their consulting team and the results they've delivered. I highly recommend Rapidsoft Systems for expert IT service and support"
"Rapidsoft Systems is a reliable and professional service provider. The consulting team recently upgraded our security firewall, and they continue to provide proactive monthly maintenance for all of the PC's in our firm. We truly depend on their expertise and technical knowledge for all of our IT system needs"
"Rapidsoft Systems is one of the best service providers our firm has ever worked with! They are knowledgeable, professional, courteous - a pleasure to have as part of our business team"
"Rapidsoft Systems was here to provide valuable technical support and advice during a computer software transition. Their support technician's helped us engineer our needs to meet hardware and software requirements - their continued support has made our system secure and compliant over the last three years"
"After having been a customer for several years, we grew our relationship with Rapidsoft Systems to include branch office support. It's great to have a partner that can accommodate our expanding IT needs. Their engineers are knowledgeable and responsive. We trust Rapidsoft Systems's expertise to provide quality, cost effective IT support"
"In November of 2002, our law firm needed to replace its then in-house IT person. We were looking for an IT provider that could bring its knowledge and experience to develop and maintain our servers and workstations, and advise us as to necessary and appropriate upgrades to our technology equipment and software. We chose Rapidsoft Systems as a result of recommendations by several other local area law firms. We have been very satisfied with the advice, service, and overall response time received from the Rapidsoft Systems team"
"We LOVE working with Rapidsoft Systems. Our ACC consultant is extremely technically experienced and personable - a tough combination to find. If great technical skills, a solid business orientation, and a keen focus on customer service is what you are looking for, Rapidsoft Systems is an excellent choice"